Took some time out to drive down to the Morefield Mine near Richmond, VA. 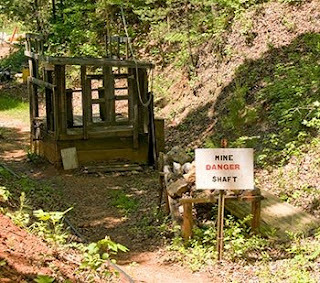 This mine is open to the public (in season) as a "pay-to-dig" operation. Basically they mine underground then bring the rock up to the surface and spread it around for everyone. Had lots of fun but it got crowded in the afternoon. Didn't fine anything great but did fine some decent amazonite. They are trying to sell the mine so this may be one of the last weekends to dig.